STACK Construction Technologies provides industry-leading takeoff and estimating software for professional construction contractors. This easy-to-use, cloud-based platform helps users to transform and streamline the pre-construction process by empowering them to quickly and accurately measure digital plans, collaborate with team members, customize materials and pricing, and finalize project estimates. STACK eliminates procedures such as time-consuming paper takeoffs or cumbersome spreadsheets. The cloud-based, intuitive software will help to increase speed and eliminate costly errors. STACK speeds up the bid process and allows users to submit accurate estimates. Still not sure STACK is right for you? 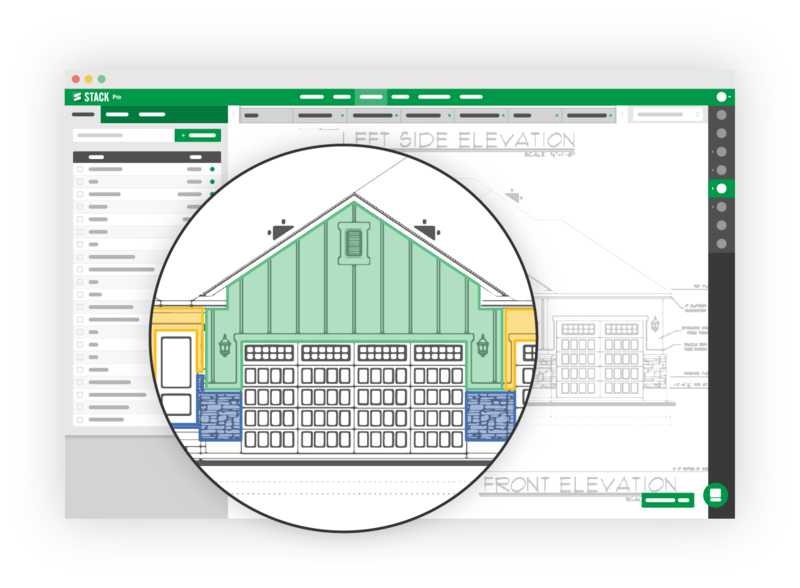 Use our Product Selection Tool to compare other Construction Software solutions. Have questions? Call one of our unbiased Technology Advisors for a free consultation. Learn everything you need to know about STACK. Our experts will reach out to you shortly.